In today’s world of identify theft and misuse of private information it has become more important that ever that we take steps to ensure our company data and client data that is no longer required is disposed of safely, securely and in as environmentally friendly manner as possible. EvaStore provides secure document shredding services to businesses across the UK, including London, and services businesses of any and all sizes. Our shredding service ensures that your unwanted documents are securely destroyed with no chance of being reconstructed. 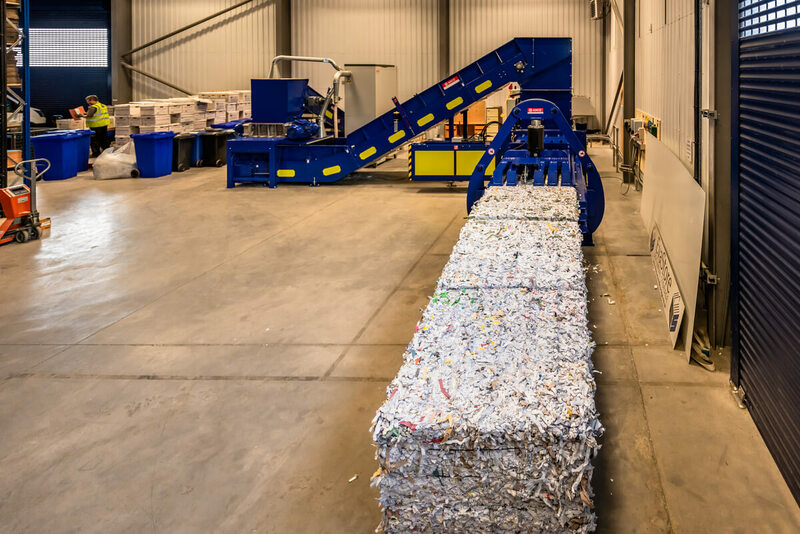 In addition as all of our shredded waste is 100% recycled using our service is also good for both the environment and your company’s carbon footprint. A collection service enables us to visit businesses across all regions in London. 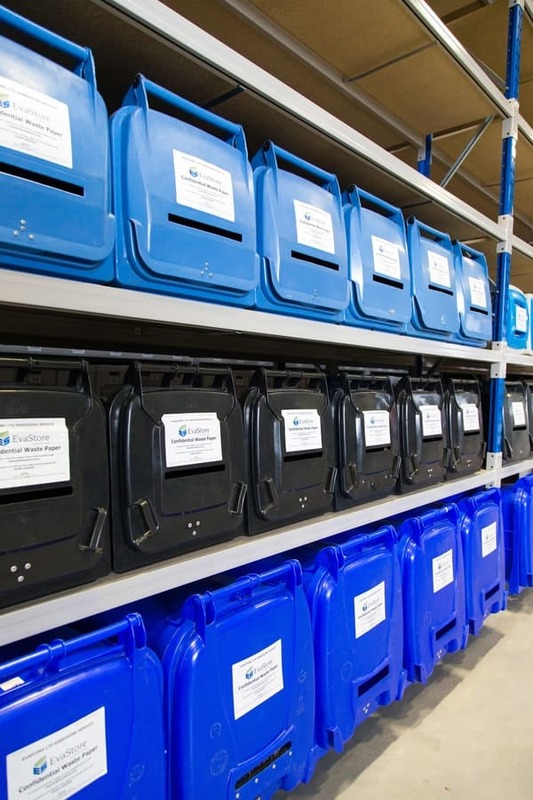 Document Shredding Bins – Our locked shredding bins are permanently left in your offices and feature a slot on the lid to allow staff to fill it with any unwanted documents. We schedule regular visits to empty the bins and return the content to our facility where they are securely destroyed before we issue you with a certificate of destruction. Document Shredding Cabinets – This service is the same as our document shredding bins however instead of a bin we install a more attractively designed cabinet which will blend in more aesthetically with your office surroundings whilst at the same time providing a secure means of storage for sensitive documents until they are collected for destruction. 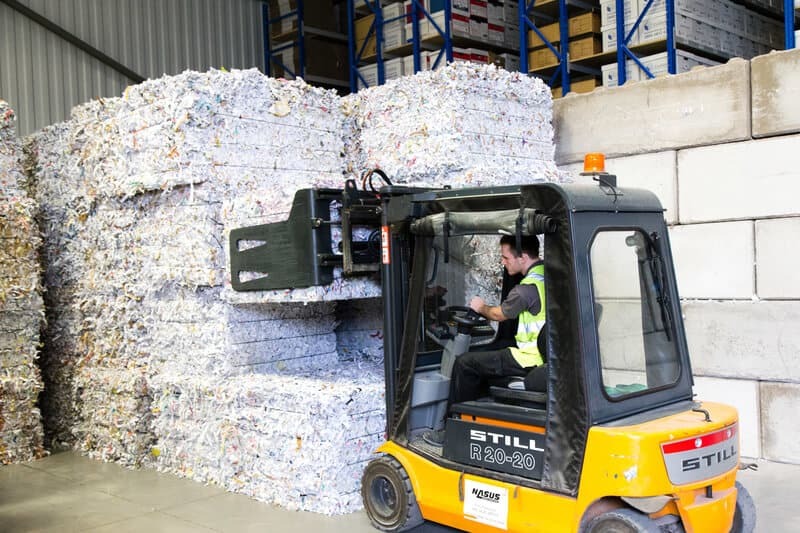 Shredding of Documents Stored in Our Facility – Many industry sectors are required to keep their documents for a certain period of time. We can define retention or ‘destruction dates’ for any boxes of documents you have stored with us and when this date is reached we notify you to obtain authorisation before securely shredding your documents and issuing a certificate of destruction. Waste is 100% recycled which is good for the environment. Certificate of destruction is issued to you confirming your documents have been destroyed securely..
Chain of custody details every step your documents have taken on their way to us. If your business is based in London and the surrounding areas please contact us to discuss how we can help you dispose of your unwanted documents securely and responsibly.